In East Asia, the economics and industrial outputs of Japan, China, Korea and Russia have developed rapidly in recent decades. Together, these countries account for more than a quarter of the world’s energy consumption. The primary energy consumption of China has especially increased drastically. The main energy sources in these countries are oil in Japan and Korea, coal in China and natural gas in Russia (additionally, coal is harvested in Far Eastern Russia). The burning of these fuels and biomass releases many kinds of pollutants including gases and particulates into the atmosphere. From 1970-1980, “acid rain/snow” was a typical trans-boundary form of environmental pollution not only in Eastern Europe and North America, but also in North East Asia. Acid rain/snow was observed on the Sea of Japan coastline of the Japanese islands during the winter. It was caused by sulfur dioxide emitted from the combustion of a large amount of coal in China. “Yellow sand” is also observed in various parts of Japan during the spring. It is caused by dust storms generated in deserts such as the Takramakan in China and transported at long ranges to Japan via microorganisms. Recently, a high concentration of PM2.5 in the urban atmosphere has become a large problem in China. PM2.5 as an originated form of fossil fuel combustion and biomass combustion contains many polycyslic aromatic hydrocarbons, which exhibit carcinogenic and/or mutagenic, endocrine disrupting and reactive oxygen species producing activities. A part of PM2.5 emitted in China has been transported at long ranges to Japan. These pollutans cause respiratory and circulatory diseases. On the other hand, in 1997, enormous amounts of oil spilled from an old Russian tanker which caused a serious pollution problem in the Sea of Japan. Backbone bending in fish was reported in several marine areas polluted with the spilled oil. From these view points, trans-boundary pollution attracts much attention from environmental and health science fields. 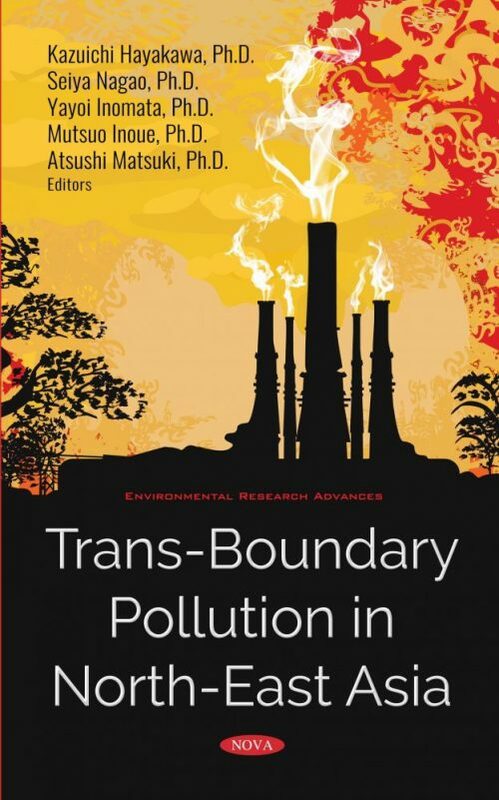 This book will focus on the trans-boundary pollutants observed in North East Asia with recent research results. The book will be a valuable text for students of environmental pollution as well as researchers and policy-makers.